Union Public Service Commission (UPSC) has released notification for the recruitment of the posts of National Defence Academy and Naval Academy. 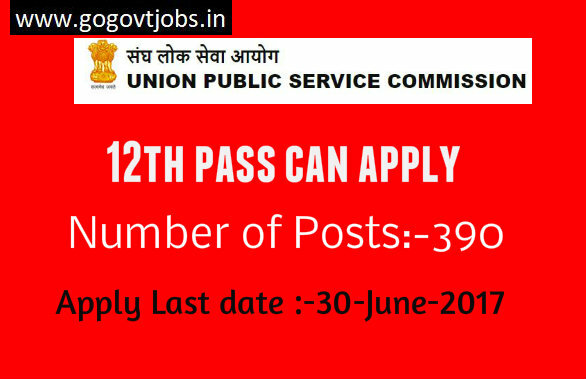 who want to work with this Upsc they can apply before 30-06-2017. Qualification:- 12th passed or equivalent with physics and maths. Candidates have to pay Rs 100/- in the form of Cash in any Branch of SBI or through online mode. Applicants (SC/ST Candidates/ Sons of JCOs/NCOs/oRs) are exempted from fee.